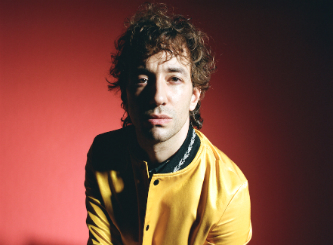 Albert Hammond Jr's latest album Francis Trouble explores a deeply personal topic – the stillborn death of his twin brother, Francis, and the lingering effects that event has had in his life and music. In November of 1979, Hammond Jr's mother, Claudia, miscarried. Although they rushed to the hospital, Claudia and Albert Hammond Sr. were told that the baby was far too premature to live. Albert continued to grow inside of his mother undetected until she was nearly six months pregnant. Although he had always known of the existence of Francis, it was not until he was 36 years old that he learned from an aunt that part of Francis had remained behind in the womb and was born alongside him – a fingernail. With his music moving in a different path than before, Hammond Jr wondered if this new direction came from another avenue of himself, perhaps emanating from whatever he and the departed Francis had shared for the few short months they had together. Taking a page from Bowie, Hammond Jr says: "What the music says may be serious, but as a medium it should not be questioned, analysed or taken too seriously. "I think it should be tarted up, made into a character, a parody of itself. The music is the mask the message wears and I, the performer, am the message." Working within this mentality, Hammond Jr created Francis Trouble, an homage to both the death of his twin and his own birth, as well as the complexities of identity that arise because of their intermingling. The number 36 became especially relevant, as he had learned more of Francis's story at that age, and because he was born on the 9th day of the 4th month of the year. Significantly, the album is exactly 36 minutes long. And now Hammond Jr has shared the official video for the single Far Away Truths, which was directed by his wife Justyna who also creates all the lighting for his live shows. "Sometimes making music videos takes months, sometimes weeks, I do it in days. "I was lucky to work with my wife, Justyna, directing and the legend Tobias Rylander creating visuals that echo the Francis Trouble album art," says Hammond Jr. In celebration of Francis Trouble Albert will be on tour and will visit Concorde 2 Brighton, on Sunday 16th September 2018. For more info CLICK HERE.